Save the date etiquette is quickly becoming a modern addition to wedding etiquette. Following a few simple rules will help you to announce your wedding plans to family and friends. Once you have the ring on your finger, the date set, the guest list compiled and the venue selected, it is time to pre-announce your wedding plans. A save the date card will help your guests know that they are, indeed invited to the wedding celebration. The rules you need to follow with save the date etiquette are quite simple and will help you be timely and organized. The key to a good wedding is being organized and allowing your guests enough time to plan. The timing of your save the date cards depends on a few things, these include amount of time you have and where your wedding will be held. If your wedding will be local, the rule of thumb is to send your save the date cards out four to six months in advance. This will give your guests a good amount of time to make the plans they need to attend. A destination wedding requires more planning on behalf of the guests. Six to eight months will allow your guests to plan time off work, budget travel expenses and book travel and lodging. In all reality, if you are planning a wedding that is not too far in the future, then you don't need to worry about the save the date cards. Save the date etiquette is vital here. The most important thing to do before sending out a save the date card is to finalize your guest list. The save the date card is a pre-announcement that lets your guests know that they will be invited to the wedding. Once you sent out a save the date card to a guest, you cannot un-invite them. If, by chance there is a wedding budget crisis, and you need to make guest cuts, it is good to know this before you send out the cards. You can trim a guest list easier when the guests are not yet pre-invited. When you send out a save the date card, be sure to list if the person invited can include a guest. There are a couple of ways this can be done. If you know the name of the guest that will be invited, include them when addressing the card. If not, it is acceptable to include "and guest". Also, if children are to be included, list them on the card as well. A save the date card is not as formal as the wedding invitation itself. You can be as creative as you want when you make your cards. There are a few vital pieces of information to include on the save the date card. 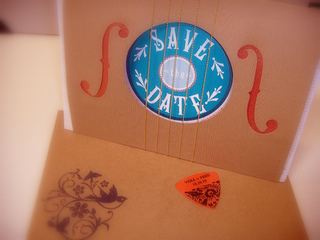 A good save the date etiquette rule to follow is never include bridal registry information on the save the date card. There are places for that later in the invitation process. This list is by not means comprehensive, however it shows you that you can be creative and have some fun with your save the date announcement. The key is to keep them classy. Remember who you are inviting and what you are inviting them to. A good rule of thumb is to keep it within the theme and time of year of your wedding. It does make it easier to use your colors, however this is not necessary. Believe it or not, there is envelope etiquette with save the date cards. 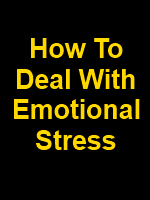 It is appropriate for you to hand address or print computer labels for them. Also, a good idea to follow is if you are using a magnet as your save the date, list this on the envelope. Save the date etiquette is a wonderful precursor to good invitation etiquette. Following these few simple rules will help you get your wedding started off on the right foot.